Ann Arbor has been a mainstay for growth and opportunity over the years, and today is no different. The technology business is booming, the University provides constant growth and new construction is all around. Nationwide the rising home prices and agreeable interest rates have created the perfect environment for sellers this spring and summer. Even more so, those hoping to sell their home and either move up or downsize are staring into a market filled with opportunity. The news is saturated with headlines announcing the return of real estate as a top investment for the middle class and millionaires alike. 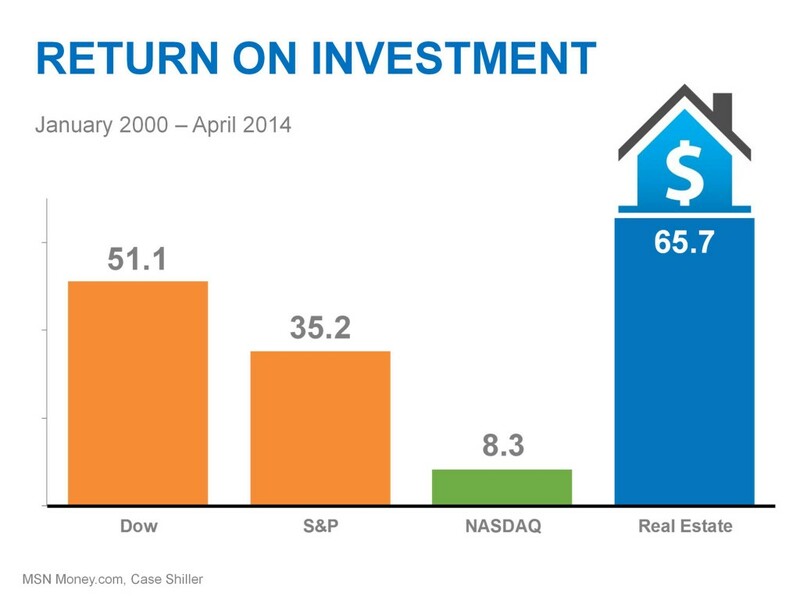 The chart above shows that over the years real estate investments prevail with a steady return on investment. If you plan to own your home or use it as an income property for at least ten years, then any fluctuations in the market usually prove to work through the ups and downs. The bottom line is, if you are interested in selling, but are not sure, pay attention to the buzz. The real estate market is a perfect environment right now for sellers and the numbers are there to prove it. Give us a call if you have any questions about your local market in or around Ann Arbor, or are hoping to sell over the summer. Our Definitive Guide to Selling Your Home is also an excellent resource for first-time home sellers or those needing to fill in the blanks.